We’d love your help. Let us know what’s wrong with this preview of Which Real Jesus? by Steve Bateman. To ask other readers questions about Which Real Jesus?, please sign up. Be the first to ask a question about Which Real Jesus? This book was excellent! It was given me by a friend, and it looked moderately interesting, but the more I read the more interesting it became. 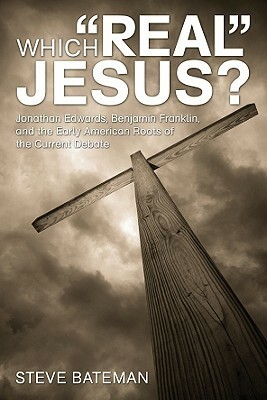 It does a great job of juxtaposing the debate about Jesus in the days of Jonathan Edwards and Ben Franklin with the debate about Jesus in our time. Highly recommend it! Bateman is a great communicator and teacher. He manages to make complicated material interesting and memorable. I definitely recommend this book. Trivia About Which Real Jesus?